I dug out there two pictures from 2006 (bottom) when Bahrain’s now iconic Bahrain Financial Harbour and Bahrain World Trade Centre were under construction. These two sets of twin towers were then, and still are, the country’s most photographed buildings (left). 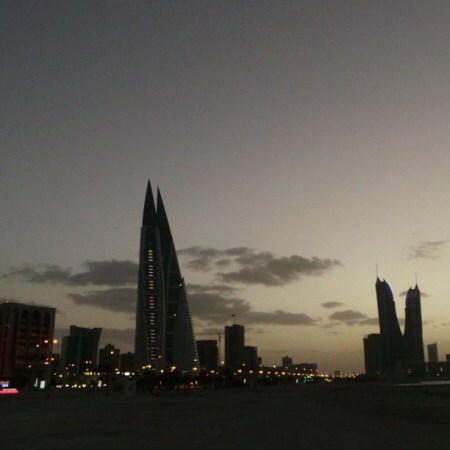 We have, of course, come a long way from those times and Bahrain now is almost unrecognisable after all that construction activity over the last nearly a decade. Previous Post Now this is enterprise!